How to clean the shower curtain and liner . The green cloth > Housekeeping > How to clean the shower curtain and liner . Comments Off on How to clean the shower curtain and liner . 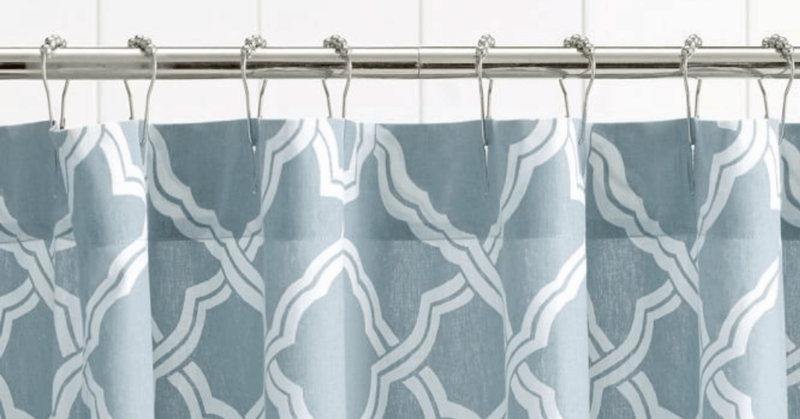 How often do you clean your shower curtain or shower curtain liner? While this may seem like a trivial task, it's really something you should add to your cleanup list. Think about how often the shower is used at home. Each time water flows in the shower, the possibilities of germs, accumulation of lime scale and mildew multiply. Ideally, you should wash your shower curtain liner and your monthly. While it may seem that everything that relates to cleaning your bathroom is the worst chores, cleaning these items may be easier than you think! You can clean your shower liner with a cloth and baking soda. Simply sprinkle baking soda on the cloth, moisten with water and rub all the lining with the solution. Rinse the liner with warm water and repeat until it is rid of all traces of soap and water. You can also treat the shower liner with an all purpose cleaner and a cloth, need to remove the liner from the shower rod for small spots. However, better change the liner completely and buy another if many spots. They are not generally expensive. Regarding the shower curtain, it can be thrown directly into the washer. Put a few towels and warm it in warm water on gentle cycle with your regular laundry detergent. Ensuite, let it hang to dry. Now that your shower accessories are beautiful and clean, why not thoroughly clean the rest of the bathroom? Visit green cloth today for a free estimate online.